In 2001, the long-term lease Sandra Schmitt had with Camp Arrowhead expired. Schmitty had worked full time at Arrowhead since 1970, taking over as the director in 1983. As dedicated camping professionals, Schmitty and the rest of the year-round staff, who were also at Arrowhead, knew they weren’t finished with their camp calling. As the founders of Camp Honey Creek, they were told that their vision of a new summer camp and year-round facility was an impossible dream. Thank goodness they persevered anyway, because that impossible dream is now a reality, impacting the lives of hundreds of children and adults each year. 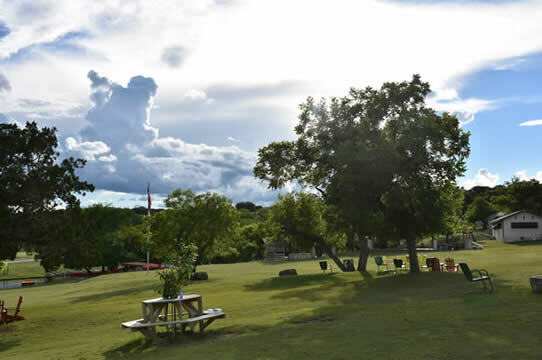 Summer Dreams purchased 300 acres of land in the Texas Hill Country on the banks of Honey Creek. While it’s hard to believe from looking at camp now, when they first stepped onto the property, it was nothing more than a horse pasture. There were no buildings, there was not one blade of grass, and there were 450 campers pre-registered for camp that summer! They overcame the seemingly impossible in one short year – completing the infrastructure (electricity, water, well and septic systems), the cabins (5 permanent cabins & 13 custom-made tent cabins), the dining hall and activity buildings. 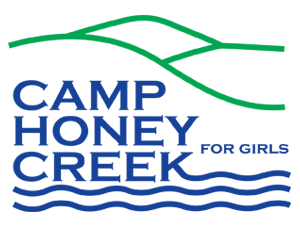 With all this work finished, they received the proper licenses and state permits, and Camp Honey Creek for Girls celebrated its first opening day on June 5, 2002. Today, all 18 cabins are permanent structures, we have more grass than we can mow, Coates Hall, and hundreds of happy campers. How did we make our dream become reality? It was truly a team effort. Just like trying to eat an elephant, we did it one bite at a time. Our campers, counselors, staff, camp parents, camp alums and dear friends all gave of their time, talents and money. That’s part of what makes Camp Honey Creek such a special place: it began as, and continues to be, a labor of love.